Craftsy contacted me last week and asked if I would like to host a contest to give away one of their classes. I didn't have to think about that very long! They just contacted me to let me know that I get to host a give away! I love all of the Craftsy classes I have taken and I want my readers to experience how great it is to learn at home and watch anytime. Then, you can return whenever you want to review the class.... Your classes do not expire. 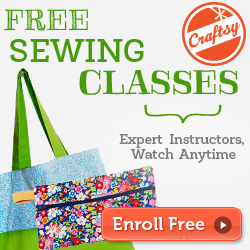 Have you ever wanted to take a Craftsy class? 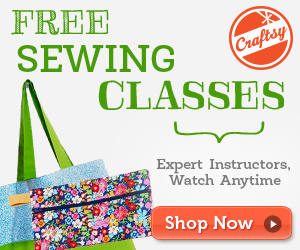 How about winning a Craftsy class? I know, there are so many. How will you choose? Well, I have my favorites, but that might make it more difficult to choose. You have until March 15 to enter. Which class do you want to win? Please let me know. Annie, I am so excited to have this opportunity! What class would you choose? Jessica, if you win, please post what you learn. I don't have any little girls to sew for, but I can always hope! I love Craftsy! 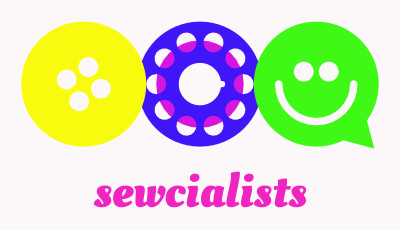 And I always have a Craftsy wishlist set up because there are so many classes I'd love to do. My current wish is Jacket fitting techniques with Pam Howard. I really want to get better at fitting because it improves the look of the garment so much. Helen, that is on my wishlist too!. Actually, I think any of the sewing that I haven't bought are on my wishlist. If you win, please let me know what you choose. I too love Craftsy!! I would like to take The Classic Tailored Shirt class. I have an unrealistic fear of buttonholes, and I know that many button down shirts are in order for me this year. Vanessa, I've made many men's and boys' shirts. I'm intrigued by that to see how I could do better. I would probably pick the new fit class by Joi. I have her other one and would love more details on fitting. Shawnta, I haven't taken Joi's class, but almost have several times. I just realized she has TWO! I think this needs to go on my short list. I keep going for frosting and fitting is the boring ole cake that makes the frosting look good. I would take the Creative Serging class by Angela Wolfe. I bought her jeans course and it is amazing! Good luck everyone. Nothy, this looks good, but I don't have a 5 thread serger. I would definitely want to hear how the class goes if you win!